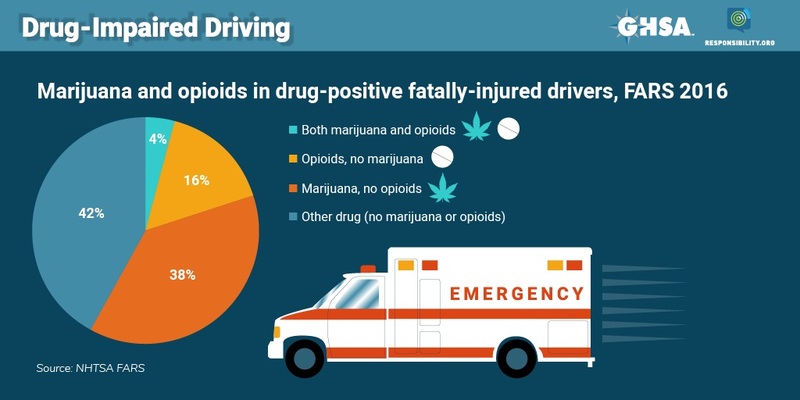 GHSA's Drug-Impaired Driving: Marijuana and Opioids Raise Critical Issues for States presents new research to examine the impact of marijuana and opioids on driving ability and provides recommendations on how best to address these emerging challenges. 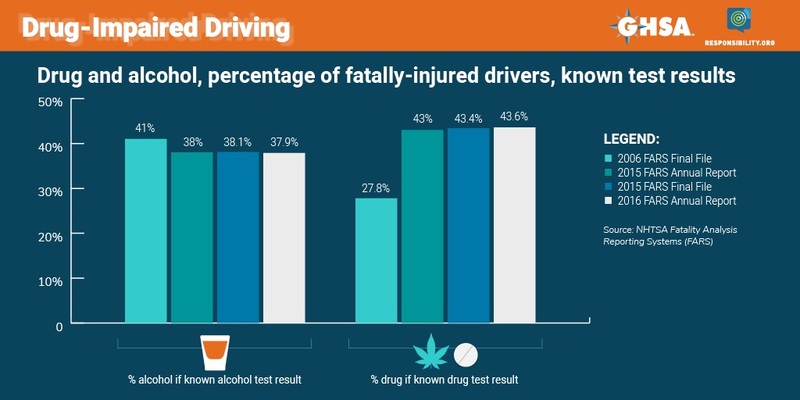 The report finds that in 2016, 44% of fatally-injured drivers with known results tested positive for drugs, up from 28% just 10 years prior. 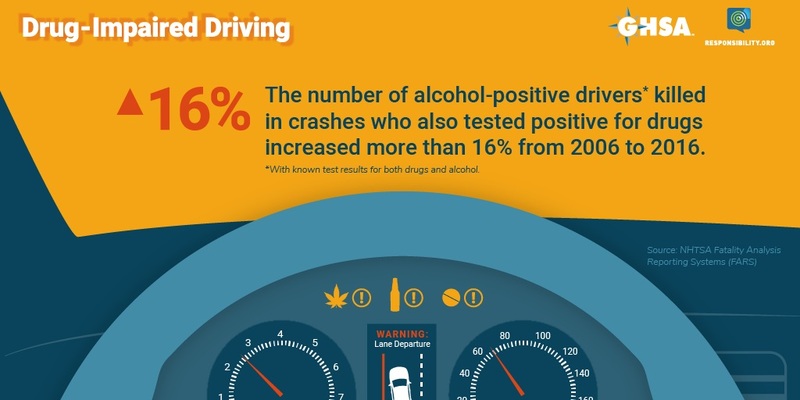 Funded by the Foundation for Advancing Alcohol Responsibility (Responsibility.org), the report found that among drug-tested fatally-injured drivers in 2016, 38% tested positive for some form of marijuana, 16% tested positive for opioids, and 4% tested positive for both marijuana and opioids. The publication also highlights the frequency of poly-drug use, or the use of multiple potentially-impairing substances simultaneously. 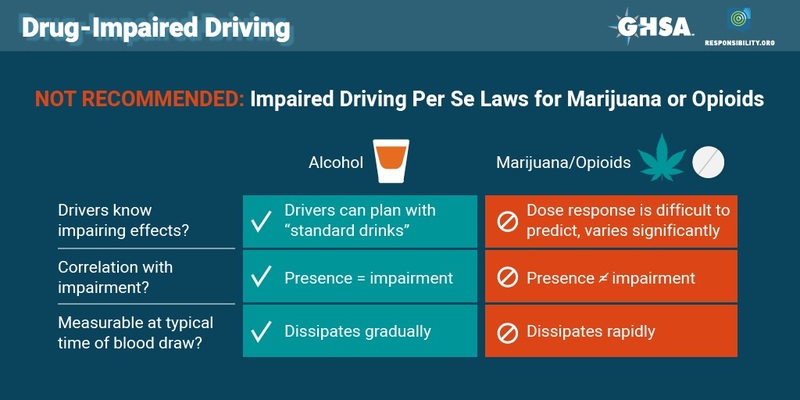 Additionally, the report discusses the challenges to addressing drug-impaired driving; outlines data available on drugged driving; details the effects marijuana and opioids have on driving ability and crash risk; and provides recommendations for states to curb drug-impaired driving. Drug-Impaired Driving: Marijuana and Opioids Raise Critical Issues for States was authored by Dr. Jim Hedlund, a former NHTSA senior official and nationally-recognized issue expert.